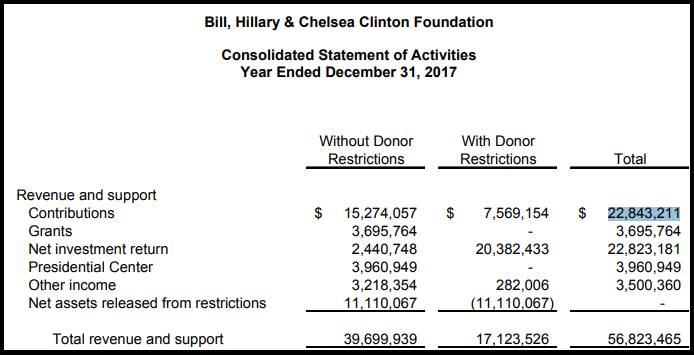 The Clinton Foundation saw contributions dry up approximately 90% over a three-year period between 2014 and 2017, according to financial statements. The global charity is currently under investigation by the DOJ, FBI and IRS for a variety of allegations - including whether favors were handed out while Hillary Clinton was Secretary of State, also known as "pay for play." The Clinton-led State Department authorized $151 billion in Pentagon-brokered deals to 16 countries that donated to the Clinton Foundation - a 145% increase in completed sales to those nations ove teh same time frame during the Bush administration, according to IBTimes. Then there was that $1 million check Qatar reportedly gave Bill Clinton for his birthday in 2012, which the charity confirmed it accepted. Coincidentally, we're sure, Qatar was one of the countries which gained State Department clearance to buy US weapons while Clinton was Secretary of State, "even as the department signaled them out ofr a range of alleged ills," according to IBTimes. 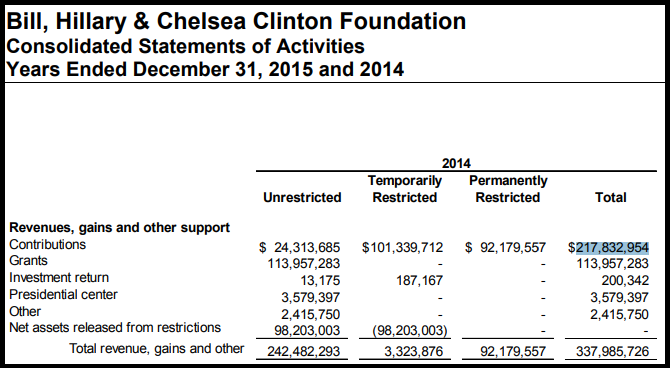 Then there was the surely unrelated $145 million donated to the Foundation from parties linked to the Uranium One deal prior to its approval through a rubber-stamp committee. 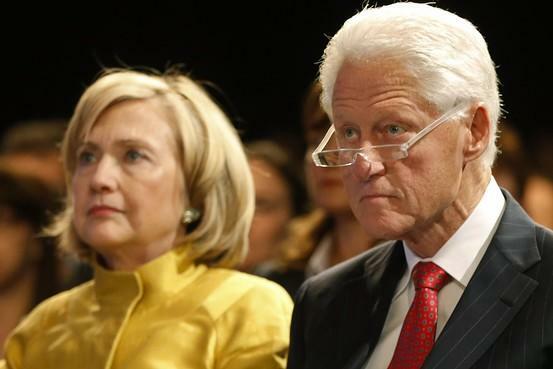 Meanwhile, according to a November 2016 report by the Dallas Observer, the Clinton Foundation has been under investigation by the IRS since July, 2016, while the Arkansas FBI field office has been investigating allegations of pay-for-play and tax code violations, according to The Hill. As we reported earlier Wednesday, House Republicans will hear testimony on December 5 from the prosecutor appointed by Attorney General Jeff Sessions to investigate allegations of wrongdoing by the Clinton Foundation, according to Rep. Mark Meadows (R-NC). "Mr. [John] Huber with the Department of Justice and the FBI has been having an investigation – at least part of his task was to look at the Clinton Foundation and what may or may not have happened as it relates to improper activity with that charitable foundation, so we’ve set a hearing date for December the 5th.," Meadows told Hill.TV on Wednesday. Meadows also told The Hill that the committee is "just now starting to work with a couple of whistleblowers that would indicate that there is a great probability, of significant improper activity that's happening in and around the Clinton Foundation." WHEN THEY CAN'T PLAY--NOBODY WANTS TO PAY!